The preparation of potatoes before the actual blanching and pre-frying for the production of chips. LinkExchange SearchMe WhatWeDo AboutUs Sitemap Next page Potato crisps production. 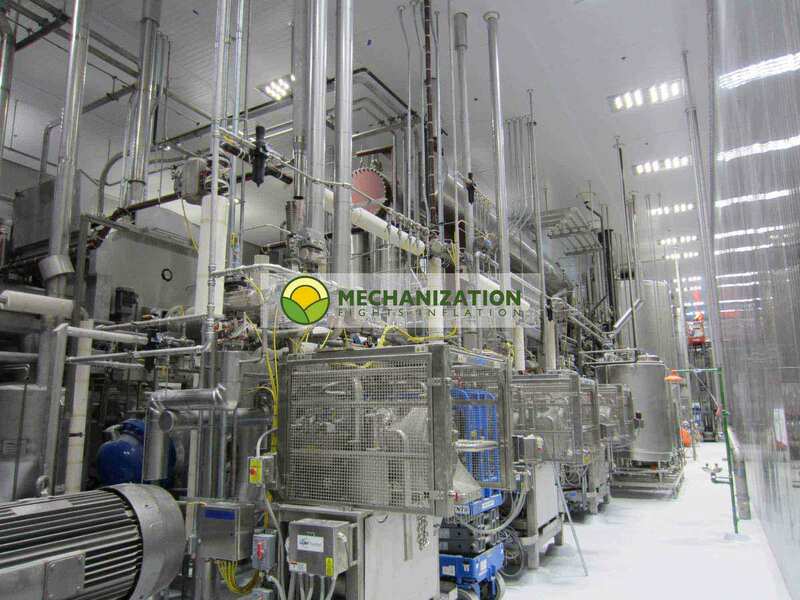 What is needed to prepare potatoes before they are blanched and pre-fried in a chips or French fries production line. The blanching and pre-frying part can be seen here: Production line for crisps. The final part of the line shown here below consists in vacuum packing the freshly cut potatoes for storage at 4° C.
These vacuum packed pre-cut, NOT pre-fried potatoes must be transported to the shops at 4° C and will have a very short shelf life ( 4 to 5 days at the most). We invite you to take a tour through this line, where we will explain step by step what is necessary to prepare potatoes for blanching and pre-frying. Click START and you will be taken through the entire installation step by step. If considering investing in the production of chips or crisps we strongly suggest to reader the following document Considering Investment in frozen French fry processing, written by one of the professionals in this industry Eng. R.W. Crawford. Next up: Potato crisps production.